don\'t say it\'s a reminder to buy from hot events and not from shop because it\'s implying that we were told that and I can\'t see it anywhere, maybe you can point that out for me ? 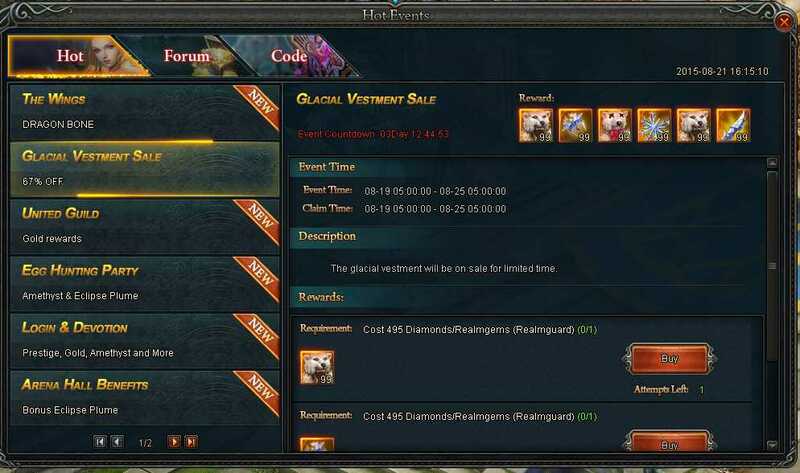 I would really like to get the difference in price back because I don\'t think I did anything wrong , my intention was to buy that item on sale and event start date clearly says 08-19 , I bought the item on 08-21 . It took a long time to save up those realmgems and I feel like I\'m being cheated . If you read Walmart is doing a sale on a TV and when you go to that store price isn\'t what they said it should be, what do you do? Take the TV to the cashier and pay the full price? Or do you look for management and ask about the sale price? 2019-4-20 01:07 GMT+8 , Processed in 0.058002 second(s), 46 queries .